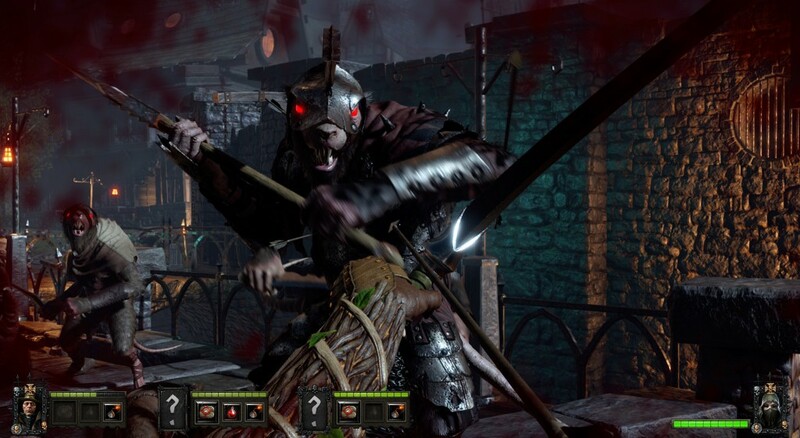 Our Warhammer End of Times Vermintide Beta playthrough was fantastic. Even though it resembles Left 4 Dead in almost every way, it’s an enjoyable co-op survival horde game. Hey, if it ain’t broken why try to fix it? The team over at GameGuideWorld knew that it was going to have a ton of survival elements, but we had no idea that there was a loot and crafting mechanic involved. Yet, we didn’t have enough time to experience what the crafting element truly meant. We were too busy with bashing rat heads and carrying barrels full of gun powder to blow up gates and such. 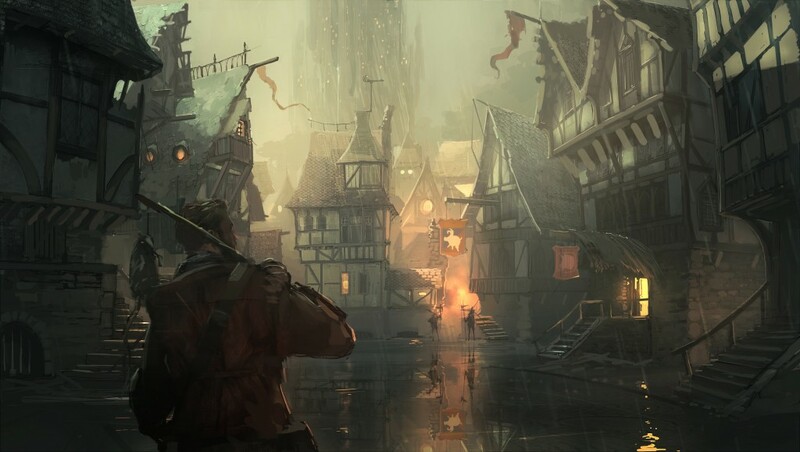 Warhammer End of Times Vermintide is set in an ongoing apocalyptic event which will change the fantasy world forever. It’s a 4 player co-op survival game that requires teamwork. Let a champion fall behind and it may very well be the end of your run. Allowing yourself to be caught in a Skaven ambush can mean the end of your session. You assume the role of one of five heroes tasked to defend the glorious city of Ubersreik, which is in turmoil because a Skaven onslaught is terrorizing the city-folk. Each hero has a different play-style, abilities, personality and gear – regardless of how much you want to be a dual-wielding dwarf gunslinger, it jut isn’t possible. The Skaven is a despicable race of rats that have risen to the surface from their underground lairs. Their goal? To plunder, and kill everything in sight. The Wood Elf Waywatcher is basically a dagger-wielding rogue and your most agile hero. You can also hit two enemies at once with your arrow if you align right. Your Bright Wizard is a pyromaniacal fanatic with a twisted and witty sense of humor – a crucial damage dealer that delves into AoE spells too. But be careful, if you have a happy triggerfinger you’ll overheat and do damage to yourself. The last one of the bunch is also my favorite – The Witch Hunter. He despises magic users and all the servants of Chaos. 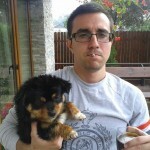 He is known as judge, jury and executioner and he carries pistols but mostly relies on rapiers and fancy fencing swords. You can collect specific weapons during missions, tomes, armors, and other trinkets that gives an RPG feel to it. The crafting and upgrade system is in place, but as I said before, my crew didn’t have much time for it during the beta. After you choose a hero and gear him, take to the map and start the game. Missions are like typical Left 4 Dead levels, only with a few added elements to better convey the RPG feel. You have to get from point A to point B and survive the massive Skaven invasion, and sometimes you need to pick up barrels and blow up stuff. On occasion you’ll have to fend of hundreds of rat-men and defend your position until an event occurs that lets you move forward. Rats come in a variety of flavors – you got Clanrats, which are the peons of the Skaven army, the bulk of despicable rats. Following are the Skavenslaves who sometimes are eaten by their own kin. They are considered the lowest of the low in rat hierarchy. Skavenslaves are mainly used as meat sponges. Stormvermin are heavily armored and are the rats who lead the charge. Indeed, they are a challenge and players need to deal with them swiftly if they don’t want to use all of their medical supplies. Now, to exemplify how Warhammer End of Times Vermintide gets inspiration from. 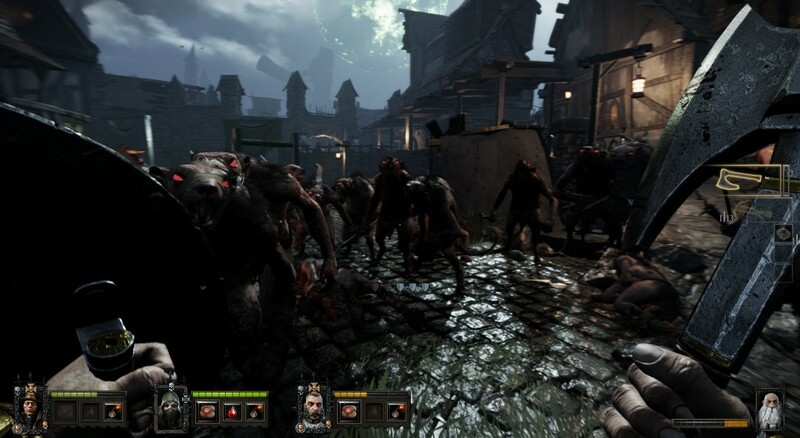 The Poison Wind Globadier, The Gutter Runner, The Packmaster, The Rattling Gunner, The Rat Ogre and the Stormvermin Patrol resemble the powerful zombies found in Left 4 Dead. Some more than others. Yet, this isn’t necessarily bad. I love the Left 4 Dead play-style and I commend the developers for building on top of it. The first mission is called The Horn of Magnus and you’ll have to blow the Magnus horn and slaughter some rat-men. Man the Ramparts follows, and the game’s beta phase ends with Engines of War. To be honest, we didn’t expect to have so much fun in Warhammer End of Times Vermintide. It’s a fantastic co-op title with great game mechanics. Graphics are beautiful and we were shocked, in the good way, that End of Times isn’t based on Unreal Engine 4. Instead, it uses an Autodesk engine called Stingray combined with technology from Umbra – visuals are immersive and beautiful. However, being a beta we found some bugs. Nothing game crippling, but hopefully they won’t be present when the game officially launches. I’m quite itching to get back into the beta, but I think I’ll hamper my needs and wait for the official release. Warhammer End of Times Vermintide official release date – 23rd of October 2015. 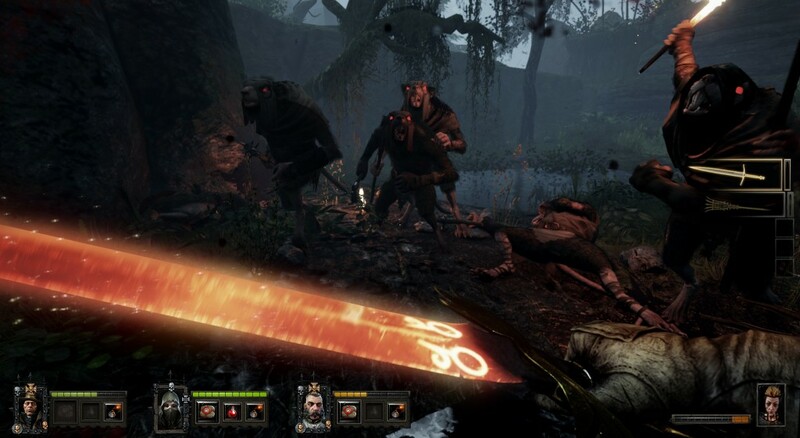 You can buy Warhammer End of Times Vermintide on Steam. It costs $26.99 if you pre-order it now.